The main purpose of this paper is to discuss two research-based journal articles relating to Activity Based Costing (ABC) model. The two articles discussed are “Implementation of the Activity based Costing Model for a Farm: An Australian Case” and “The Impact of Activity-based Costing on Organizational Performance”. The paper explains the Activity Based Costing (ABC) method and discusses the purpose of the two studies as well as what research questions they set out to explore about the topic. Additionally, the similarities and differences in the findings of the two studies are also discussed in this paper, as well as four specific outcomes or lessons learned from the research findings of the two studies that will be useful for management accountants in Australian companies to learn from. All these have been discussed in the sections below. Activity based Costing (ABC) method is an approach of managerial accounting which identifies costs of overheads of activities and then allocates such costs to objects. Activity based Costing (ABC) method can be explained in other words as a way of allocating or assigning indirect costs of overheads to the various departments or products within an organization, which helps it in generating the costs during the processes of production. The main focus of Activity based Costing (ABC) method is to identify activities or processes of production, which are in processing a job. Such individual job activities are then placed together into groups having processes that are similar, and into a pool of costs relating to a single cost driver of activities. These pools of costs are then evaluated, analyzed and allocated predetermined rate of overhead which is later assigned to all individual products and jobs. As already discussed, Activity based Costing (ABC) method is process that involves multiple steps. However, it is a much more accurate method or approach of allocating indirect costs to products and departments, in a proper manner (Deegan 2013, pp. 21). Activity based Costing (ABC) method assists managerial accountants in allocating overhead expenses to products and jobs based upon the amount or number of activities needed for producing the specific products, rather than simply getting an estimate of the amount used by each job. Assignment or allocation of indirect costs in a proper and accurate way is very essential for management, especially in cases where the firm is experiencing downsizes or it is outsourcing certain services (Deegan 2013, pp. 21). This is because departments which are highly profitable can be allocated indirect costs, thus making them be viewed as unprofitable from a theoretical or paperwork view. Furthermore, based upon specific evaluations, a firm’s management can choose not to continue carrying out some operations and shut down a profitable department or branch due to improper and incorrect distribution of costs. This leads to compounding of the problems since upon closure of the departments or braches which are profitable, the ones left are those which are unprofitable. Closing the branch firm which was profitable causes the firm to be unable to cover or settle its fixed costs. In addition to this, outsourcing is significantly affected by improper allocation of indirect costs. For instance, the management of a firm may consider outsourcing as a cheaper option due to improper and inaccurate allocation of costs. In such cases, outsourcing may be actually be significantly expensive (Schroeder, Clark and Cathey 2009, pp. 15). There are three ways in which Activity based Costing (ABC) method improves the process of costing. For instance, it increases the number of pools of costs which can be utilized for assembling costs of overheads. This is done by pooling costs by activities, rather than grouping al costs in one pool. Activity based Costing (ABC) method also assigns costs of overheads to products in a manner that the costs are assigned based upon the activities which generated them, rather than upon measures of volumes. Finally, Activity based Costing (ABC) method changes the nature of various costs which are indirect. This makes costs which were previously termed as indirect, including depreciation, identifiable to certain activities (Weygandt, Kimmel and Kieso 2015, pp. 33). Activity Based Costing (ABC) model was introduced in the manufacturing industry during the 1970s for purposes of solving challenges associated with the traditional method of calculating cost (Hilton and Platt 2013, pp. 26). The traditional systems of cost price such as surcharge and cost center methods allocated costs directly based upon product volumes, for example, labor hours and machine hours. In this case, there is no causal relationship since the costs are not allocated to the various drivers of such costs. Therefore, determining the costs of factors of production and overheads becomes quite difficult, and this may lead to a consequential presentation of a distorted picture in terms of costs (Deegan 2013, pp. 20). However, unlike the traditional systems of costing, the Activity Based Costing (ABC) Model establishes a causal relationship or link between indirect costs and cost drivers of various products and processes. This leads to stimulation of a cost conscious and transparent conduct. By implementing the Activity Based Costing (ABC) Model, employees are able to gain a clear understanding of the various categories of cost as well as be able to analyze and evaluate activities that are necessary for adding value. In this way, Activity Based Costing (ABC) Model, the employees are also able to identify and eliminate activities which do not add any value. This helps cost managers in identifying and realizing improvements which are essential for achieving higher organizational performance results (Deegan 2013, pp. 23). Activity Based Costing (ABC) Model also has a significant contribution to strategic developments within calculations of cost price. By acquiring information which is more accurate, organizations can respond to competitive advantage or edge as well as certain key decisions (Schroeder, Clark and Cathey 2009, pp. 17). Activity Based Costing (ABC) Model helps mainly in identifying cost groups of activity centers in a firm, and helps in allocating the costs to various services and products based upon various events and transactions which are considered absolutely essential for delivering the service or product (Hilton and Platt 2013, pp. 30). In this cost model, drivers of cost are allocated to the costs caused. Activity Based Costing (ABC) Model helps organizations to reduce their costs significantly, which translates into better operational efficiency (Weygandt, Kimmel and Kieso 2015, pp. 32). This research is primarily purposed for developing an understanding on how the model of activity based Costing (ABC) can be implemented in farms. The research is also aimed at examining issues that are related to implementation of the Activity Based Costing (ABC) model in farms. Technical factors are considered critical in implementing the Activity Based Costing (ABC) model in farms. Because of its unique nature, the agricultural production faces significant challenges regarding costing of the products. This is considered a huge challenge, particularly for managers in farms as well as other organizations that deal with production of agricultural products. This research, is therefore, designed to examine how Activity Based Costing (ABC) model can be implemented successfully for the benefit of managerial accountants and managers in such farms and agricultural-related organizations (Macintosh and Quattrone 2010, pp. 84). This research sets out various questions about Activity Based Costing (ABC) model. For instance, it answers the question as to whether Activity Based Costing (ABC) model has the ability to apply cost drivers that are not driven by volume, and disentangle costs of resources into two-stage process of the cost allocation, with a view to addressing the problems and issues faced in costing the agricultural products produced by farms and other organizations dealing with agriculture. In addition to this, the research is sets out to explore challenges that are faced by such farms and organizations in implementing this Activity Based Costing (ABC) model (Kuppapally 2008, pp.57). This study is mainly purposed for determination of the impacts of Activity Based Costing (ABC) on performance of an organization based on a contingency perspective. It is specified by the contingency theory of managerial accounting that there is no one control system of accounting that can be applied to all organizations in an equal manner. Each organizations experiences an environment of operation that varies significantly from other organizations, and must evaluate it carefully using a strategic process of planning (Deegan 2013, pp. 21). In accordance with the contingency theory, management of an organization must ensure that the structure and strategy fits or conforms to the environment that exists, in order to enhance its performance (Kuppapally 2008, pp.58). According to the Institute of management Accountants, systems of cost control are implemented for incorporating and supporting an organization’s overall strategic objectives, which are aimed at improving its performance. This study, therefore, was conducted to investigate Activity Based Costing (ABC) I determining its impacts on the performance of an organization (Horngren 2009, pp. 60). This research study has a research question that its sets out to answer in its findings. For instance, it is based on the research question as to whether Activity Based Costing (ABC) Model improves performance of an organization. In this regard, the study attempts to research how Activity Based Costing (ABC) model enhances performance of organizations, which often operate in competitive and complex environments. most organizations use the traditional methods of accounting, that have numerous shortcomings as they do not provide them with strategic and useful information for making key decisions in their present environments (Kuppapally 2008, pp.57). As there is a great need for the management of such organizations to acquire quick, reliable, accurate and relevant information for making sound decisions in their businesses, this research study designs innovative tools of managerial accounting that can be used for such purposes through strategic processes of management (Hilton and Platt 2013, pp. 29). The findings of the two research studies postulate that systems of management accounting and cist control such as Activity Based Costing (ABC) Model are very significant in any organization, as these determine how well the organization operates, thus enhancing its financial performance. The two research studies are based on the fact that organizations face various challenges in their operational environments, which affects them significantly in their daily operations in regard to cost control (Hillier, Grinblatt and Titman 2011, pp. 124). The findings of the two research studies are also similar in that they highly encourage and recommend organizations to implement and use Activity Based Costing (ABC) Model as a key system of cost control. For instance, the research “Implementation of the Activity based Costing Model for a Farm: An Australian Case” recommends Activity Based Costing (ABC) Model as an approach that can be embraced for solving costing challenges of agricultural products. Similarly, the research study “The Impact of Activity based Costing on Organizational Performance” significantly advocates for use of Activity Based Costing (ABC) Model in improving and enhancing performance of an organization (Gopal 2009, pp.51). Furthermore, the results of the two research studies are aimed at providing important lessons to managerial and cost accountants as well as management of a firm regarding the benefits of adopting Activity Based Costing (ABC) Model, its associated implementation challenges and how it can improve and simplify allocation of overhead costs to processes, jobs and departments within the organization ((Hillier, Grinblatt and Titman 2011, pp. 126). This is very important in picturing out the need for implementation of this model as the primary cost control system in organizations, for helping in monitoring and evaluation of overhead costs (Garrison, Noreen, Brewer and McGowan 2010, pp. 793). There are various differences in the findings of the two research studies. For instance, the findings of the research study “Implementation of the Activity based Costing Model for a Farm: An Australian Case” are specifically meant for use by farms or any other organization that deals with production of agricultural products. On the other hand, the research findings of the research study “The Impact of Activity based Costing on Organizational Performance” are meant for use by all organizations in general, which are involved in production of any product that requires some costing (Gaffikin 2008, pp. 54). Additionally, findings of the research study “Implementation of the Activity based Costing Model for a Farm: An Australian Case” are majored on implementation of an Activity Based Costing (ABC) Model of cost control, and challenges that are associated with its implementation. In this research, technical issues including data availability and limited access to resources or scarcity are outlined as the primary factors influencing implementation of Activity Based Costing (ABC) Model of costing for farms and agricultural based organizations. On the other hand, the findings of the research study “The Impact of Activity-based Costing on Organizational Performance” focus mainly on how Activity Based Costing (ABC) Model impacts the performance of organizations behaviour in general. In this research study, it has been found out that organizations that use this costing model are most likely to experience reduced costs, which results into improved organizational performance (DRURY 2013, pp. 31). There are two lessons learned from the research study “Implementation of the Activity based Costing Model for a Farm: An Australian Case” that can be used by management accountants in Australian companies. For instance, the study helps management accountants in gaining an understanding regarding development of an ABC costing model that covers all operating costs with an exception to direct materials. In doing this, the management accountants need to consider identifying the various pools of activities that are necessary for the model of costing. With regard to agricultural organizations such as farms, these activity pools may include pruning, picking, packaging, potting, bunching, collection and loading of buckets, planting, watering, weeding, application of fertilizers, spray of chemicals and planting plastic covers (Collier 2015, pp. 9). In addition to this, the research findings assist managerial accountants in gaining an understanding of the various issues and challenges that may be faced during implementation of this ABC costing model. For instance, technical problems such as limited resources and data availability are considered the major challenges. In the course of developing this costing model, managerial accountants can use various heuristics in order to enable its implementation, because of limited data availability. For instance, volumes of sales can be used widely for allocating costs of activities in cases where volume could not be measured using other alternative approaches (Zimmerman and Yahya-Zadeh 2011, pp. 23). However, managerial accountants also learn that, although these heuristics can be used in implementing the Activity Based Costing (ABC) model, they are associated with various negative effects on its reliability of cost information generated (Bonner 2008, pp. 13). According to the findings of the research study “The Impact of Activity based Costing on Organizational Performance”, managerial accountants can draw important lessons which can help them in their cost management roles. For instance, the findings in this research can help managerial accountants in analyzing how financial information from publicly reported financial statements can be utilized in evaluation of changes in performance of organization, resulting from its implementation of Activity Based Costing (ABC) model. The results of this study have demonstrated how organizational performance can be evaluated using several financial measures such as earnings per share (EPS), market price, Return on Investment, debt to equity, turnover of assets, return on stockholder’s equity and operating performance (Hillier, Grinblatt and Titman 2011, pp. 124). The results indicate that these measures are significantly used by management accountants in determining how third parties such as creditors, lenders and investors are interested in and analyze the overall financial performance of an organization (Bhimani and Horngren 2008, pp. 12). In addition to this, the results of this research study are useful to management accountants in determining factors which might affect or influence the decision of an organization or firm whether or not to implement Activity Based Costing (ABC) model. The findings of this research outline that although many organizations have been using traditional methods of cost accounting, these methods are recommended for making key decisions, as they do not give sufficient and reliable information on costing. The results from this research highly recommends management accountants to abandon these traditional methods of cost accounting which are considered outdated and obsolete, and adopt the model of Activity Based Costing (ABC) which is regarded more useful in decision making than the former (Abraham, Glynn and Murphy 2008, pp. 21). As discussed above, Activity Based Costing (ABC) model is an approach of managerial accounting which identifies costs of overheads of activities and then allocates such costs to objects. Activity based Costing (ABC) method can be explained in other words as a way of allocating or assigning indirect costs of overheads to the various departments or products within an organization, which helps it in generating the costs during the process of production (Bhimani and Horngren 2008, pp. 12). The findings of the two research articles discussed above are very useful to management accountants of Australian companies in understanding the benefits of adopting this costing model, and abandoning the traditional method which is outdated and improper for key decision making. For instance, the results of the two research studies help accountants in determining factors which might affect or influence the decision of an organization or firm whether or not to implement Activity Based Costing (ABC) model. Additionally, the research findings are useful to managerial accountants in analyzing how financial information from publicly reported financial statements can be utilized in evaluation of changes in performance of organization, resulting from its implementation of Activity Based Costing (ABC) model ((Abraham, Glynn and Murphy 2008, pp. 25). 1. Abraham, A., Glynn, J.J. and Murphy, M., 2008. Accounting for managers. Cengage Learning EMEA, pp. 12-74. 2. Bhimani, A. and Horngren, C.T., 2008. Management and cost accounting (Vol. 1). Pearson Education, pp. 22-114. 3. Bonner, S.E., 2008. Judgment and decision making in accounting. Prentice Hall, pp. 05-89. 4. Collier, P.M., 2015. Accounting for managers: Interpreting accounting information for decision making. John Wiley & Sons, pp. 102-135. 5. Deegan, C., 2013. Financial accounting theory. McGraw-Hill Education Australia, pp. 23-89. 6. DRURY, C.M., 2013. Management and cost accounting. Springer, pp. 28-96. 7. Gaffikin, M.J., 2008. Accounting theory: Research, regulation and accounting practice, pp. 29-45. 8. Garrison, R.H., Noreen, E.W., Brewer, P.C. and McGowan, A., 2010. Managerial accounting. Issues in Accounting Education, 25(4), pp.792-793. 9. Gopal, C.R., 2009. Accounting for managers. New Age International, pp. 33-65. 10. Hillier, D., Grinblatt, M. and Titman, S., 2011. Financial markets and corporate strategy (No. 2nd Eu). McGraw Hill, pp. 45-84. 11. Hilton, R.W. and Platt, D.E., 2013. Managerial accounting: creating value in a dynamic business environment. McGraw-Hill Education, pp. 47-74. 12. Horngren, C.T., 2009. 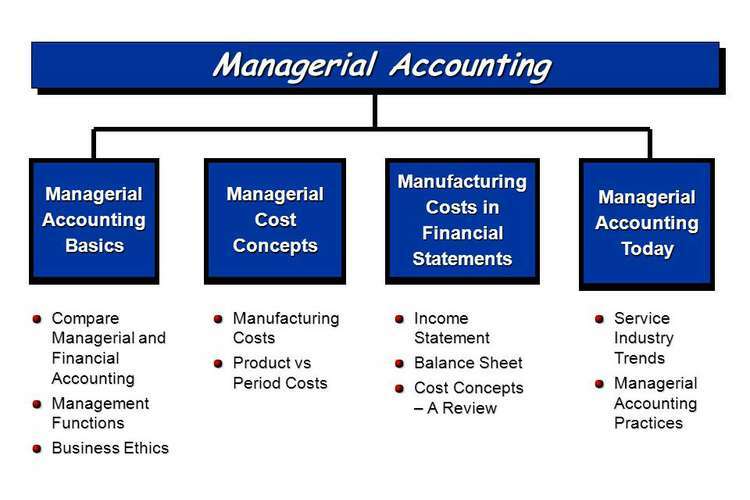 Cost accounting: A managerial emphasis, 13/e. Pearson Education India, pp. 52-91. 13. Kuppapally, J.J., 2008. Accounting for managers. PHI Learning Pvt. Ltd, pp. 24-36. 14. Macintosh, N.B. and Quattrone, P., 2010. Management accounting and control systems: An organizational and sociological approach. John Wiley & Sons, pp. 15-51. 15. Schroeder, R.G., Clark, M.W. and Cathey, J.M., 2009. Financial accounting theory and analysis: text and cases (p. 82). John Wiley & Sons, pp. 71-135. 16. Ward, K., 2012. Strategic management accounting. Routledge, pp. 102-156. 17. Weygandt, J.J., Kimmel, P.D. and Kieso, D.E., 2015. Financial & managerial accounting. John Wiley & Sons, pp. 14-68.